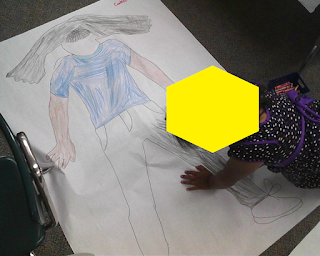 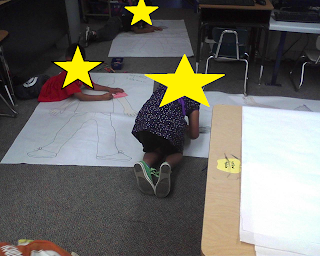 We spent one morning last week tracing our bodies, adding details and coloring them to look like we do. 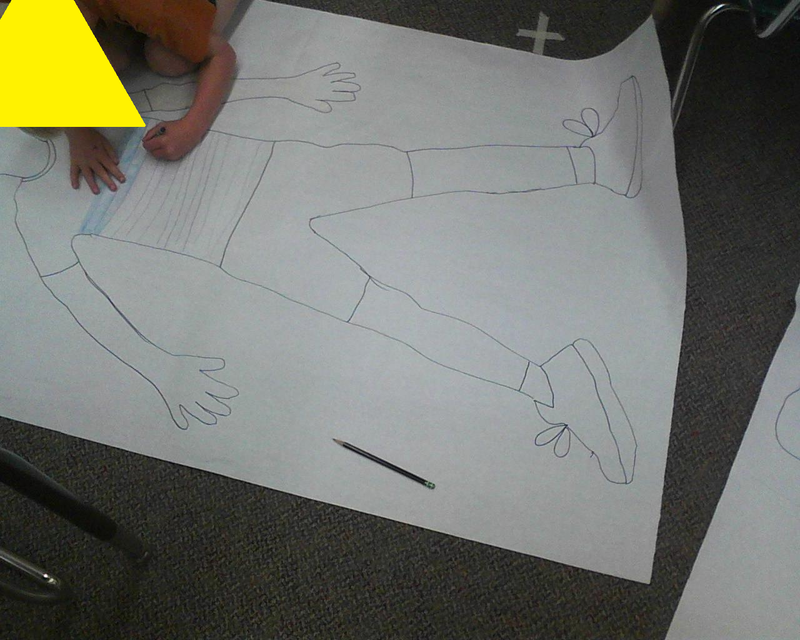 The kids took their time on this and they turned out great. These will be hanging in the hall to greet parents as they come to our celebration on Wednesday.